The good people at Maille recently invited me to enter their bloggers challenge, the “Maille Culinary Challenge”. 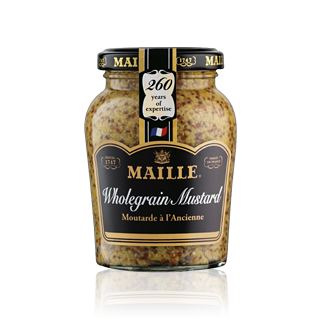 I have long been a fan of Maille wholegrain mustard but didn’t really know anything about the company or what other products they make. 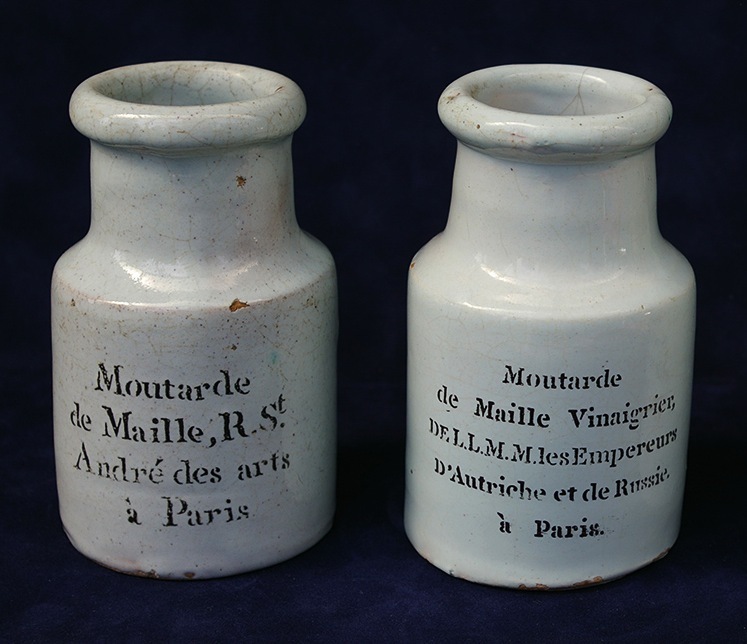 It turns out that La Maison Maille (to give them their full title) has been around since 1747! Antoine-Claude Maille was a master vinegar maker. He opened his first boutique in Paris, supplying a rich range of aromatic mustards, and quickly became official supplier to the court of Louis XV. Further success followed and La Maison Maille became official supplier to other royal courts throughout Europe. I had no idea! Maille invited me to choose two products to cook with and I was wowed by their beautiful range. 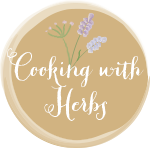 In addition to their wonderful wholegrain mustard, which I know so well, they produce many other types of mustard and also vinegars, oils, dressings, sauces, pickles, kitchen accessories and tableware. Again, I had no idea! So, what to choose? My first choice was easy! 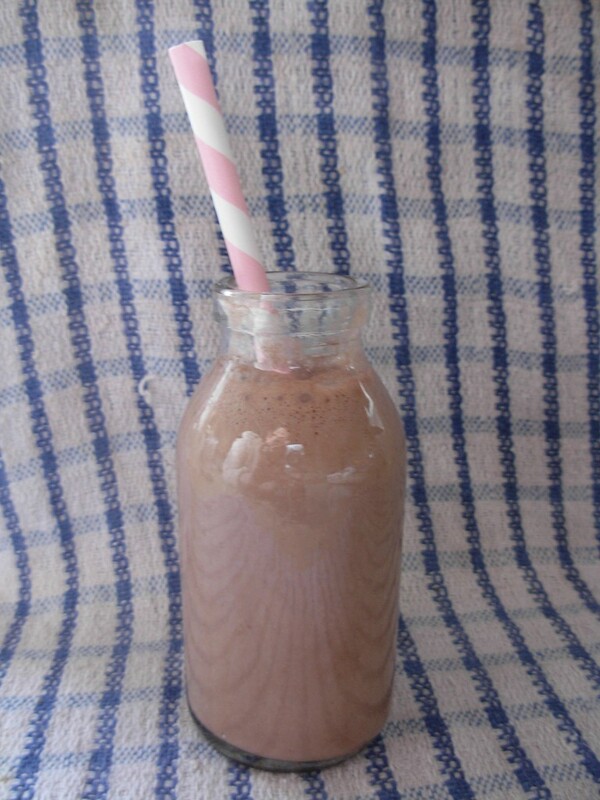 I adore hazelnuts and as soon as I saw Maille’s hazelnut oil, I knew I had to try it! This was especially true when I checked the list of ingredients! What’s in there? Hazelnut oil! 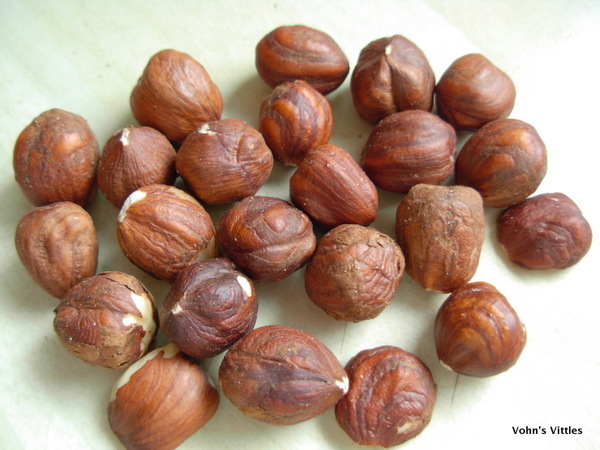 Yep – that’s it – no additives, no colourings, no flavourings, nadda – just plain and perfect hazelnut oil. It is described as sweet, delicate and aromatic; on the nose, as a ramble between fields and forest; on the palate as having sweet notes of hazelnut. 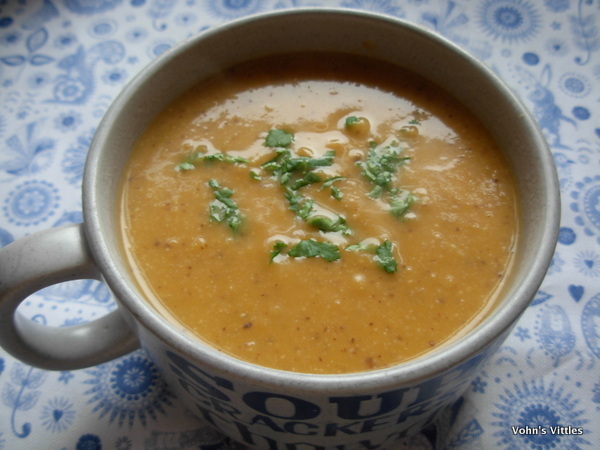 As soon as it arrived I tried it with a little plain bread and I concur wholeheartedly with that description! 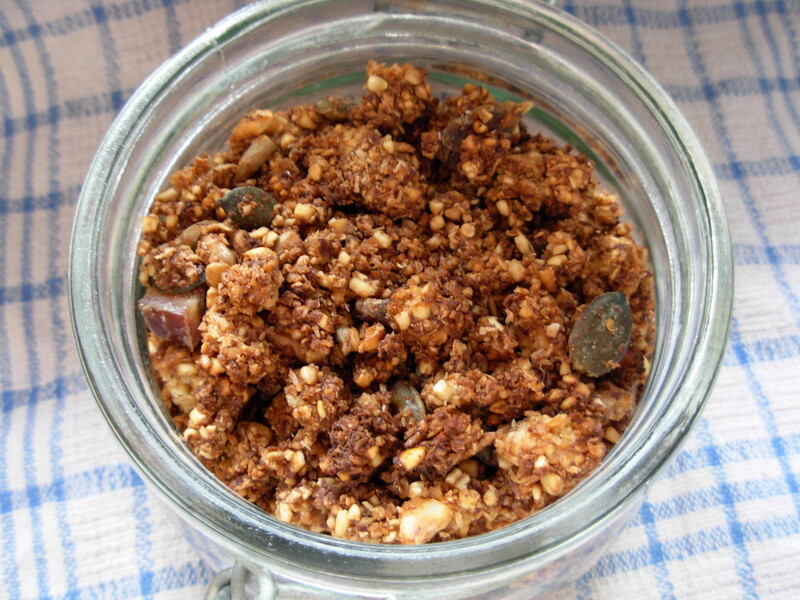 What to make with my hazelnut oil? I had all sorts of classic combinations running through my head but I wanted to do something a little different. Maille’s own description of the scent of the oil being evocative of a ramble between fields and forest sent my mind soaring outdoors to nature’s bounty. You may remember I recently went on a foraging workshop. 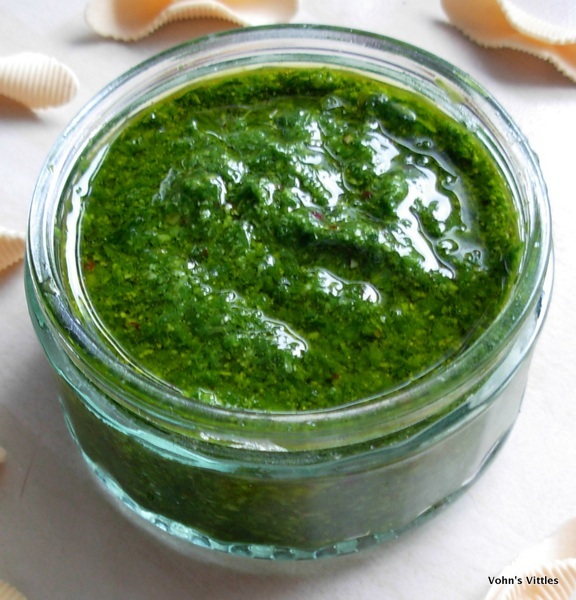 I couldn’t take home any foraged foods that day, as I was about to go away for a week but thinking back to the punchy taste of wild garlic, I thought it would be a lovely contrast to sweet mellow hazelnut oil. 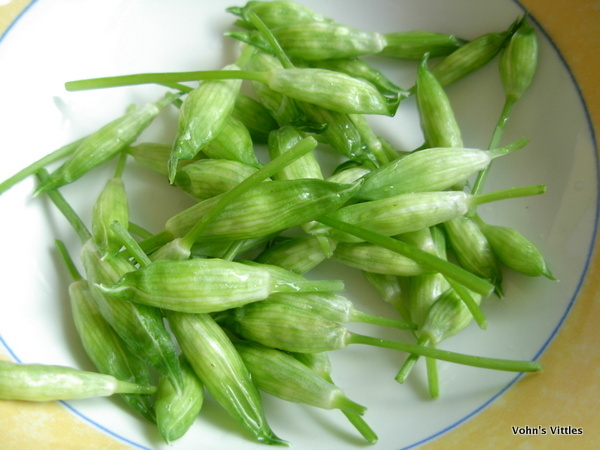 So, last weekend, Mr Vohn & I went on our own little foraging trip in some local woods and brought back handfuls of wild garlic, complete with their newly formed flower buds. Sounds good to me! 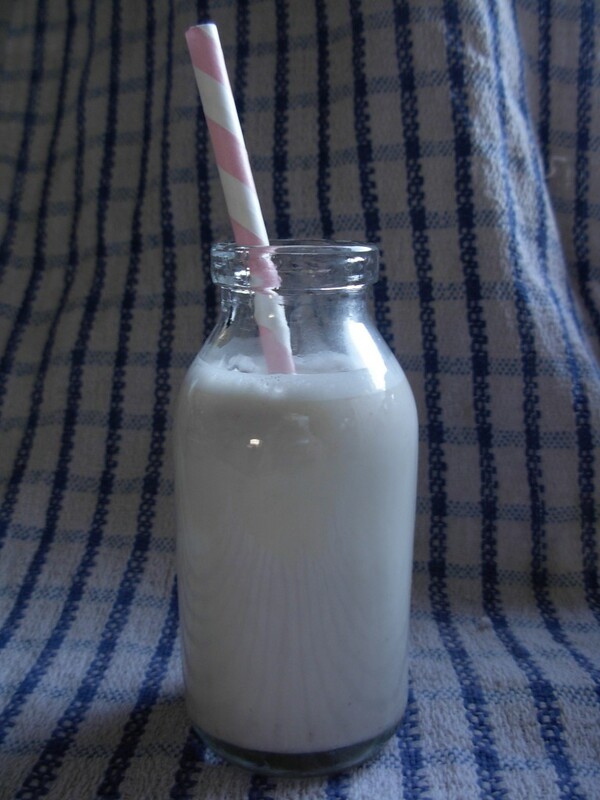 So here is the healthy & delicious recipe I came up with. 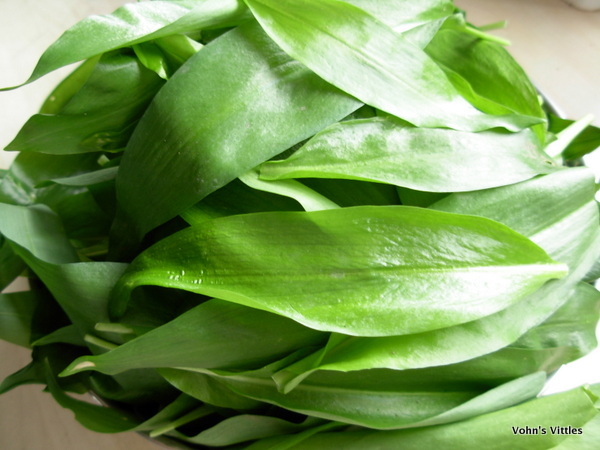 1) Start by cleaning your wild garlic. 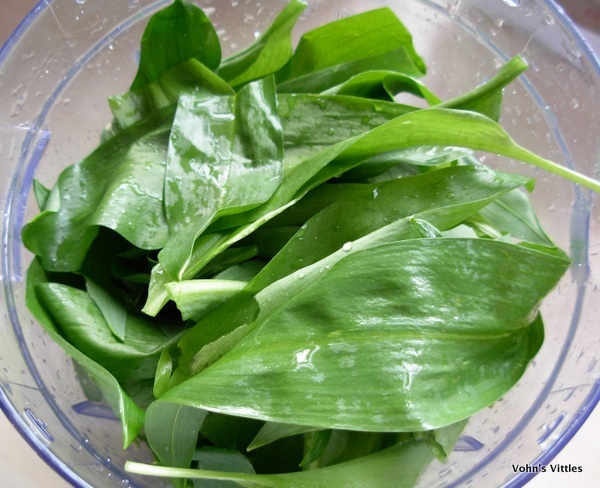 Sort through it and discard leaves of any other plants which may have snuck in there when foraging your garlic. 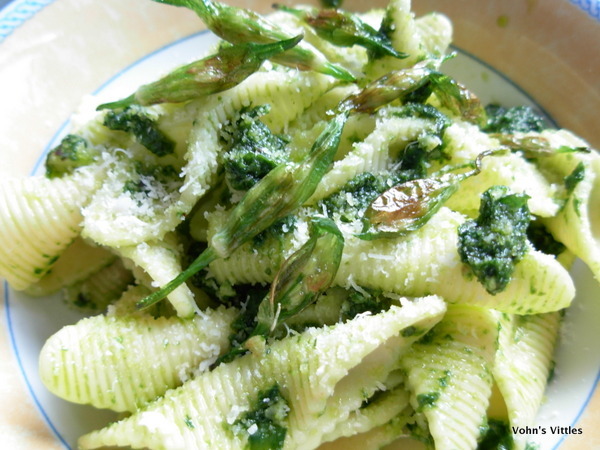 You can also include the garlic buds, although I separated mine out & used them in a pasta recipe (see further below). 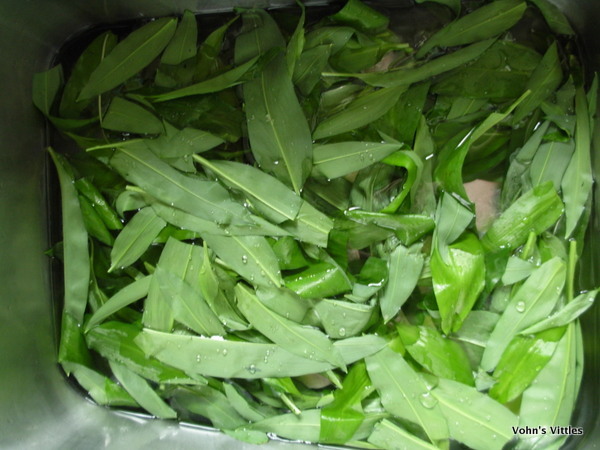 Wash the leaves in water with the vinegar added, to remove any contaminants. I find it easiest to do this in the kitchen sink! Shake off any excess water, place in a colander and leave to drain. 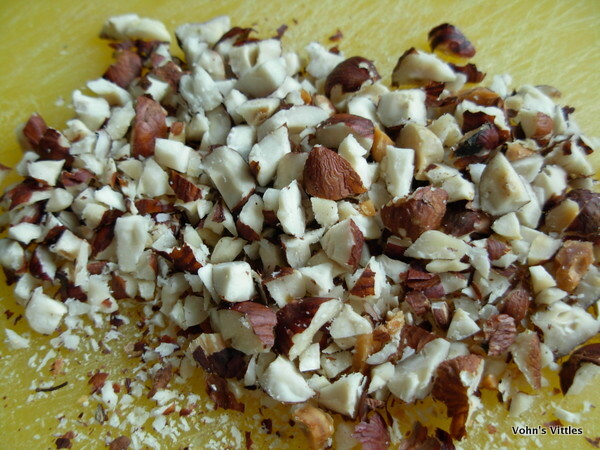 3) Place hazelnuts, hazelnut oil and a handful of wild garlic in a food processor. 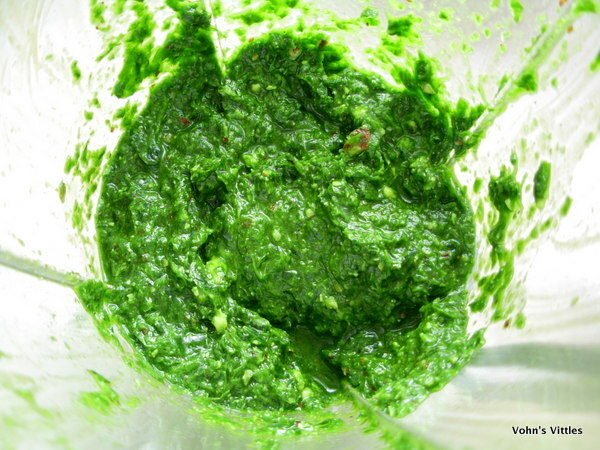 Blend to a purée & then add more wild garlic and blend again. 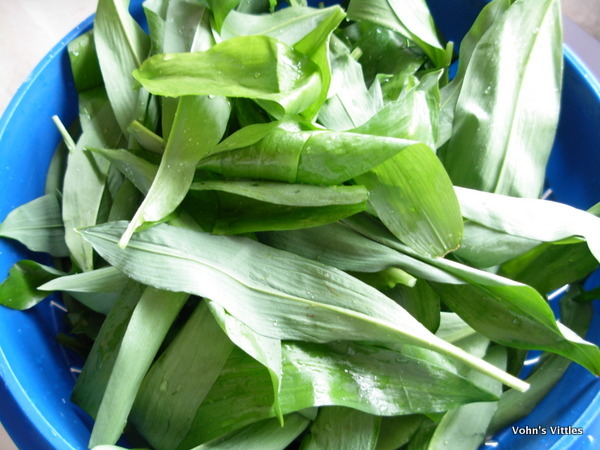 Once you have added all the wild garlic, add the rapeseed oil & blend again. 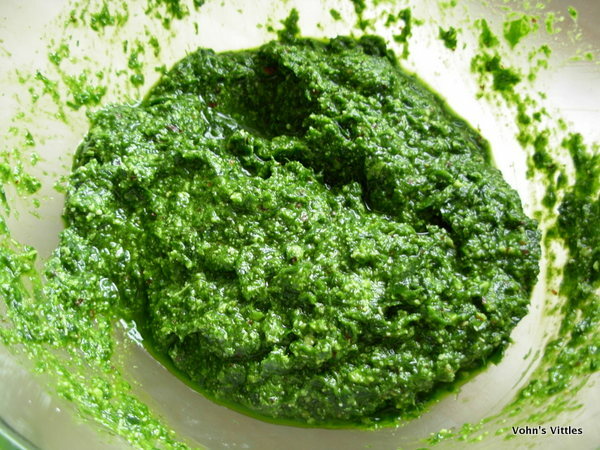 You can do this in a pestle and mortar if you don’t have a food processor – it just takes a while longer! 4) Place the purée into a bowl and stir in the lemon juice, parmesan cheese and black pepper. Taste & add salt if you wish. 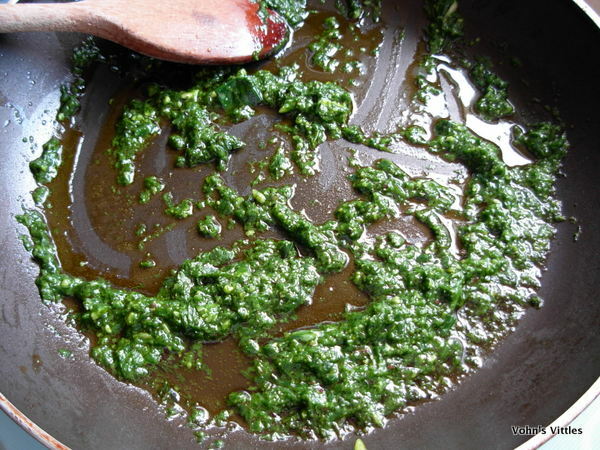 5) Use immediately, or spoon into a dish and cover with a thin layer of oil. It can keep in the fridge for a few days like this. If you have too much to use within a few days, then it freezes well. 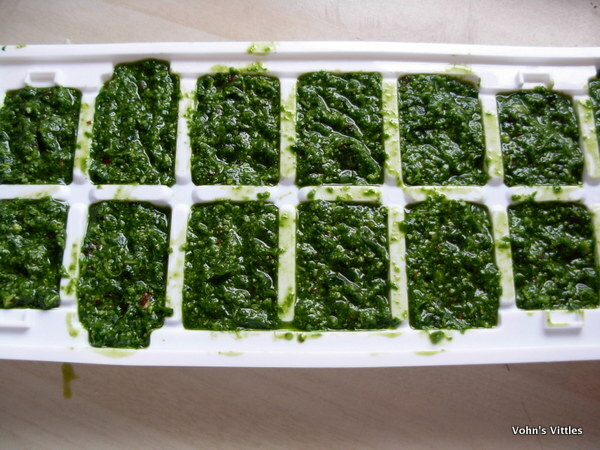 You can do this in ice cube trays. 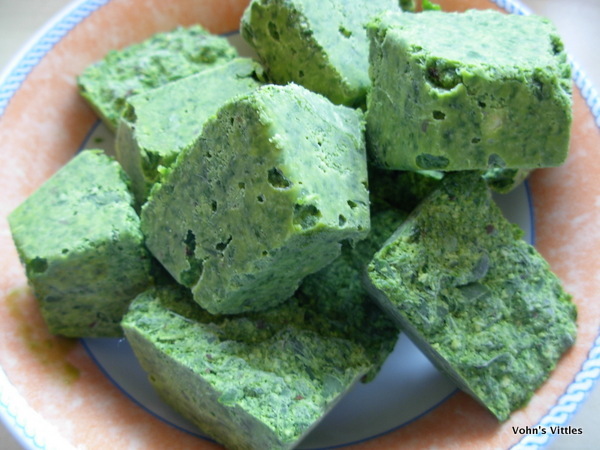 Once frozen, remove your “pesto cubes” from the tray and put them in a bag/box in the freezer. One to two cubes is enough for a serving. 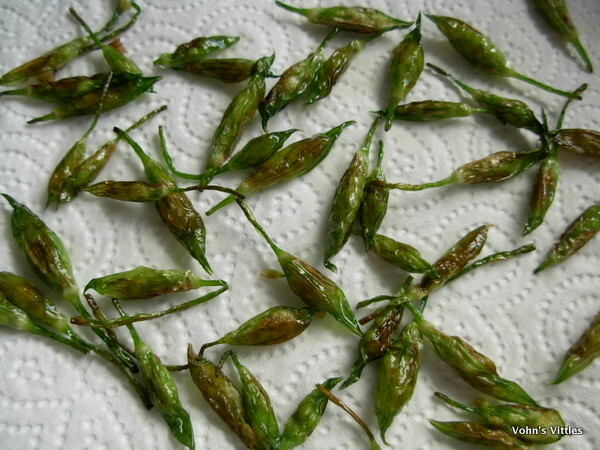 1) Wash your wild garlic buds (as before with plenty of water and a little vinegar). Drain thoroughly and leave to dry on clean kitchen towel/paper. 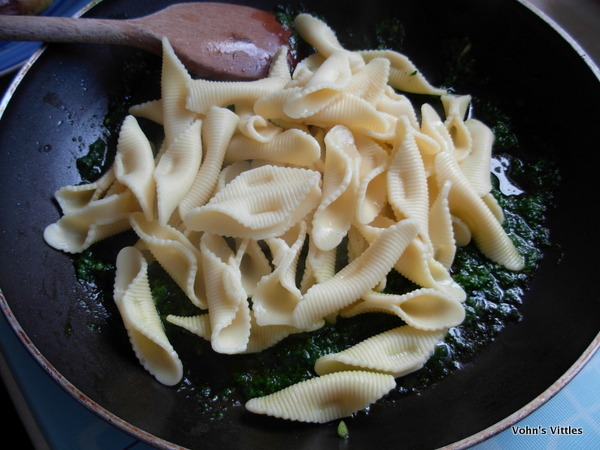 2) Cook pasta to al-dente and drain in a colander. 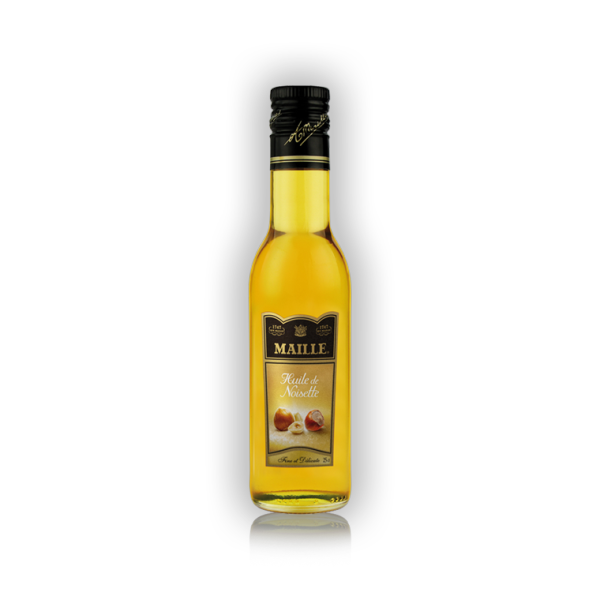 3) Heat 2 teaspoons Maille hazelnut oil over a medium-high heat in a frying pan. The smell of this oil heating up is absolutely amazing! 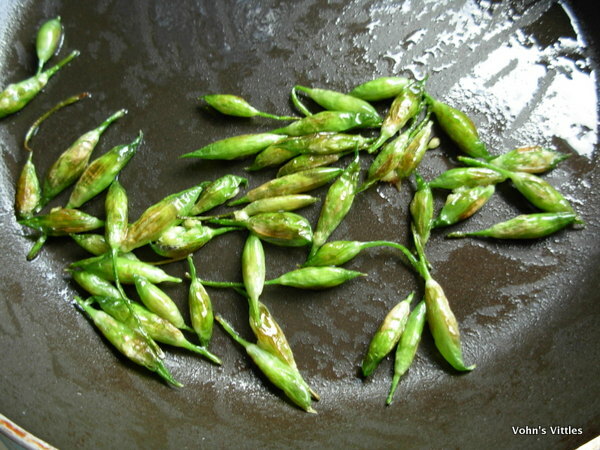 Add the garlic buds and fry for about one minute until lightly charred and crispy. Drain on clean kitchen towel/paper. 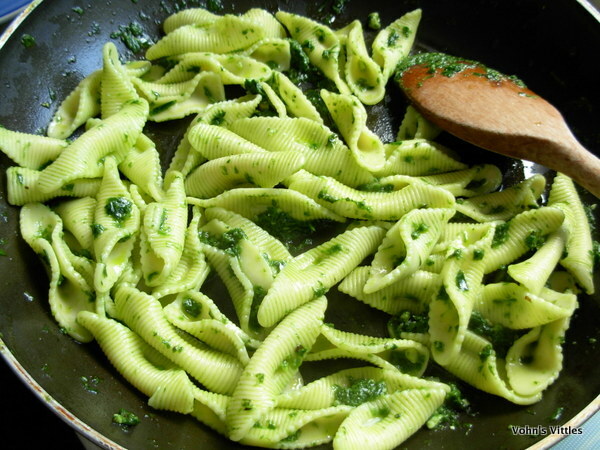 4) Add the pesto to the pan and fry for a minute. 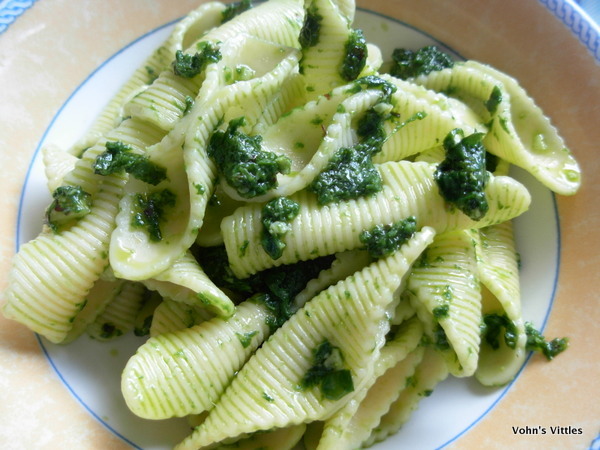 5) Rinse the pasta in the colander with hot water, then add to the pan & toss thoroughly to coat in pesto. Legalese: Maille sent me two complimentary products to use to enter their Culinary Challenge. 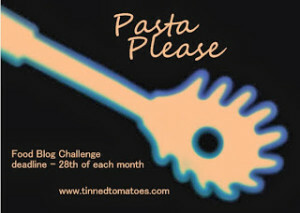 Pasta Please run by Jac at Tinned Tomatoes and guest-hosted this month by Pierre & Nazima of Franglais Kitchen, whose theme is pasta sauces. 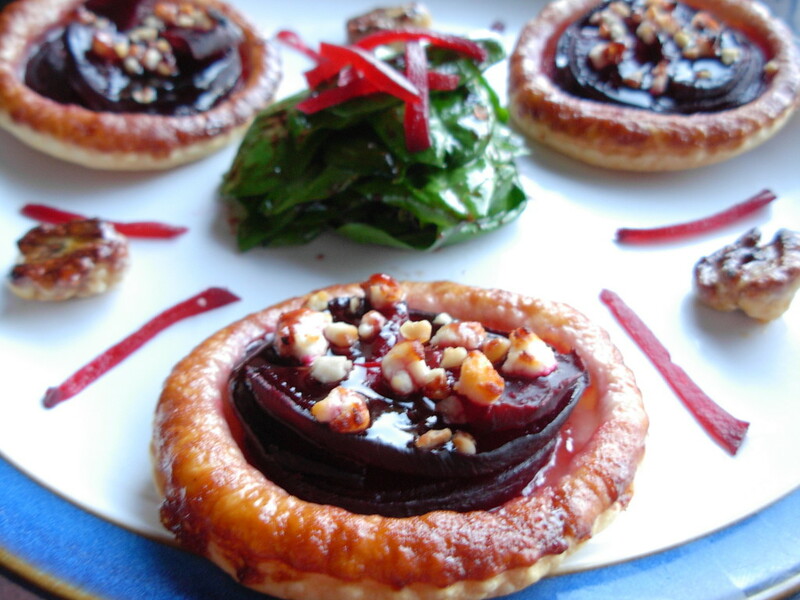 Four Seasons Food challenge, which is co-hosted by Anneli at Delicieux and Louisa at Eat Your Veg. This month’s theme is Celebrating Spring. 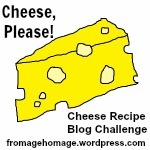 Cheese Please challenge run by Fromage Homage, as this month’s theme is Cheeseonal and Seasonal! 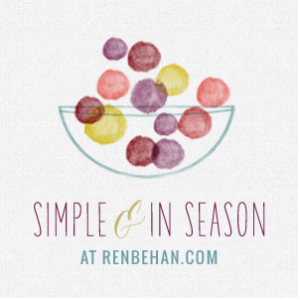 Simple and In Season challenge run by Ren at Ren Behan.